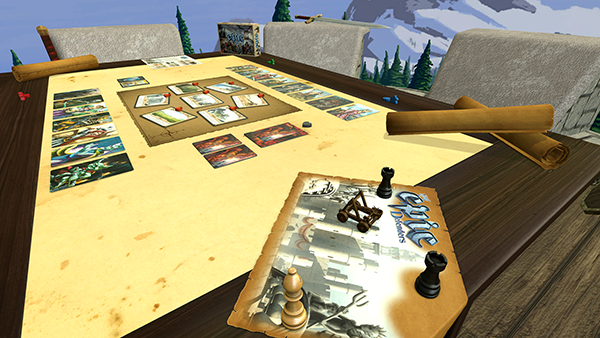 Update v8.1 Tiny Epic Defenders DLC, Peek Cards, AssetBundle Improvements & Lots of Fixes! Another quick update for you this week to release our latest DLC, Tiny Epic Defenders, a cooperative board game! In Tiny Epic Defenders, players must select their class and work together to defend the foreboding horde and slay the Epic Foe. Now available for only $4.99! In addition, we have added a new Peek feature, where you can look at the backside of cards and other objects! Thanks the great community feedback, we were able to correct mistakes that came up in our Viticulture DLC. Remember to let us know if you encounter any issues as we’ll never know unless you tell us! One last thing – It’s very important to update your AssetBundle projects because any AssetsBundles you create will not work on other platforms, so before doing anything else, update your project and make sure to update all your AssetBundles! Tiny Epic Defenders by Gamelyn Games is now released! Available for $4.99 with a 10% launch discount. 1-4 players, ages 13 and up. Only the host needs to own the DLC. Added snap points to the mats for worker placement. 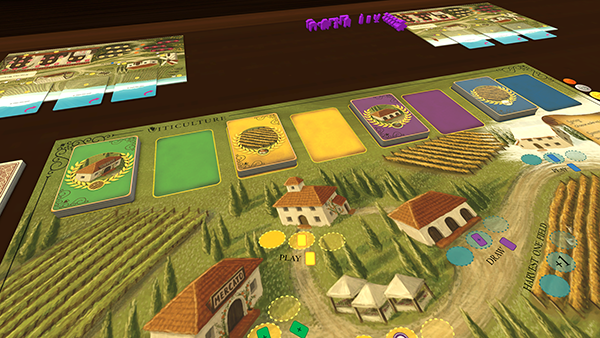 Fixed sizing to make the board more proportional to the table. Fixed Mama & Papa cards to be in the proper orientation and placement. Fixed coloring of all textures. You can now view the backside of a card or object with Peek. In conjunction with ALT Zoom, hold shift while alt zooming to see the backside. Similar to the Search, players will be notified when someone is peeking an object with an eye icon over the object. Eye icon will disappear after 3 seconds when the player done peeking. Also works with custom figurines to see the other side of the image. Spectators will not able to peek objects to avoid information being passed along to other players. Updated alert script to check github to see if there is a new version. Confirms you have the correct version of Unity installed. Tries to verify your project install. Make sure to update to the latest version. Bag searching now works with AssetBundles. Changed AssetBundle model default to a cube. Added AssetBundle URLs to multiplayer local file check. Fixed duplicate AssetBundle on client breaking the download tracker. Fixed pink texture bug on Mac / Linux by including shaders with build. Fixed issue with AssetBundle bag numbering not working. Fixed issue when importing AssetBundle with looping effects and no trigger effects. Control Scheme updated with Peek info & updated Tips section. Added a hyperlink to the blue helper question marks on certain menus that goes to the Knowledge Base, appropriate for that menu. Improved depth sorting of snap points. Fixed Custom Tile image messing up. Fixed issue with Custom tile ‘Mat’ as stackable not working properly. Fixed issue with custom tiles stacking and changing the image when they have different back images. Fixed issue with custom models stacking incorrectly. Fixed custom model color tint applying to all sub models. Fixed custom model searching not working. Fixed sub-meshes in custom models being tinted incorrectly. Fixed scripting related crashes that has to do with buttons. Fixed issue with script button not working on custom objects. Fixed script buttons causing weird physics. Fixed issue with Unique backs and Back is hidden as false not working properly. Fixed issue with client creating tabs in notebook getting duplicated. Fixed issue with cards being too “sticky”. Fixed calculator so it works again. Fixed issue with Team Text Chat tab disappearing when switching teams. Fixed issue with icon showing up when searching in hidden zones.